While Finchem stated the Tour’s stance earlier this season that they were against the ban, it sounds like that sentiment has changed since the USGA and R&A have announced they will go ahead with implementing the new rule to bar anchored putters — mostly because some would like to avoid bifurcation, which was discussed in the PAC meeting, according to Golfweek. Love went on to outline the other mistakes made by the USGA that have affected Tour players. Which ultimately begs one question, according to Love. 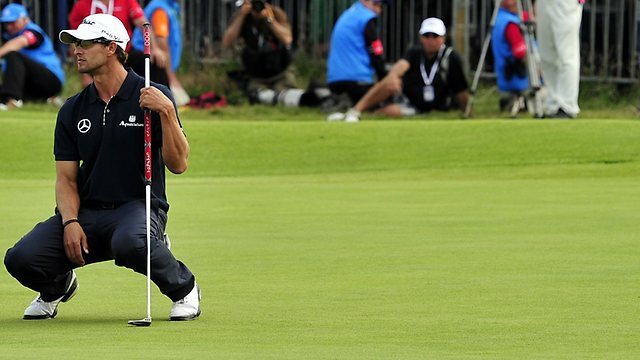 Will the anchoring ban lead to two sets of rules in golf? According to Love, there is a lot of sentiment for exactly that, to break away from the USGA rules and have the players make their own rules. I’ve heard a few guys, like Robert Garrigus echo the same, but it seems like most guys I’ve talked to would prefer avoiding bifurcation, including Henrik Stenson. Stenson, the 2009 Players champ, also thinks the Tour will follow suit, but will let it drag out. Baddeley, who participated in Tuesday’s PAC meeting but had to leave 45 minutes early, said he’s asked his peers for their input. In a press conference on Wednesday, Love implied Commissioner Finchem was pushing for the players to side with the USGA on the issue. Meanwhile, a group of nine PGA Tour players have lawyered up, including Adam Scott, who won the Masters with a broomstick putter. However, Scott clarified that he’s not planning to sue, rather he has hired counsel, so he has the information he needs to know. “My intention is just to get all the information given to me possible from the PGA Tour,” said Scott on Wednesday at Muirfield Village. “And just really, for me, like anyone else in a business, to have some professional guidance on this issue. That’s all it is, to make sure I get all the information that’s possible.